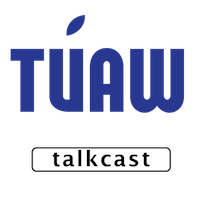 For the fourth year in a row, it has been an honor and a privilege to participate as a guest on the Mother’s Day edition of The Unofficial Apple Weblog’s weekly Talkcast. Spending time geeking out with my friends on TUAW always completes my Mother’s Day as it’s now become a tradition. If you enjoy gabbing about Apple stuff and would like to join fellow comrades in sipping the option-shift-K-oolaid, then this is a show for you. At the 34:00 minute marker, take a listen to my advice on making it easier for your kids to call family members (if you want to allow that) on your iPhone by utilizing the “nickname” card field in the Contacts app. Click here to listen to what was discussed on the TUAW Talkcast. Join TUAW each week for the live Talkcast over on Talkshoe Sunday nights at 10:00 pm EST.